Fencing contractor John Hardisty was working on a neighbour’s farm when his arm got trapped between his tractor’s post driver and a stone post. 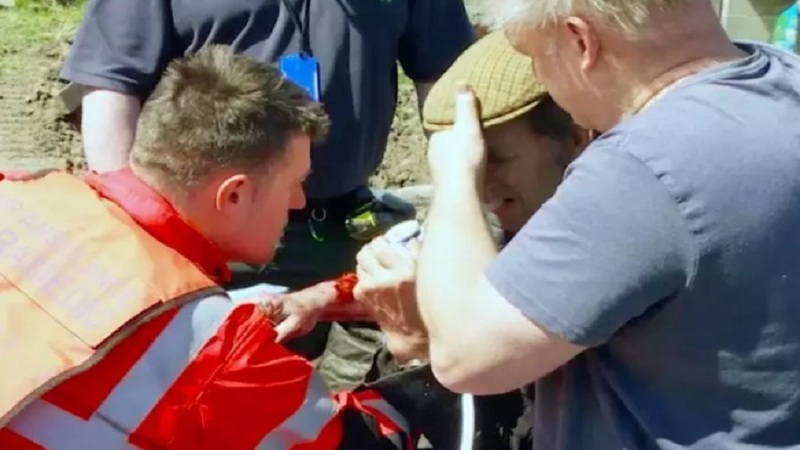 Efforts to save his arm made by medics onboard Yorkshire Air Ambulance were filmed for an episode of TV show Helicopter ER. He said: "I was putting in a wooden post at the side of the stone one and reached over the top to make sure it was straight when the post driver came down for some reason and trapped my arm. Mr Hardisty was airlifted to hospital where he underwent a six-hour operation to start repairing a fractured ulna, radius and thumb. He has since had skin grafts and further surgery on his thumb which has meant he has not been able to work since the accident six months ago. Mr Hardisty said: “I have a small farm as well as being a fencing contractor and I’m used to being so active but I’m very grateful to my neighbours and cousins who have looked after me. I’m also really grateful to the Yorkshire Air Ambulance.